How Dangerous Is Nickel-Titanium Alloy For Cardiovascular Implants? Concerns about whether or not nickel-titanium alloy implants are dangerous to the health of patients who receive them have been put to rest. 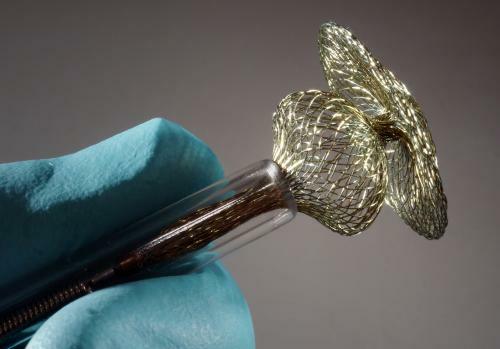 If one has a nickel allergy, simple items such as a coin or watch can be dangerous to his or her health, leading to questions about the potential hazards nickel-titanium alloys used for cardiovascular implants in minimal invasive surgery can present. Due to corrosion phenomena after implants, small amounts of nickel are sometimes released from nickel-titanium alloys over time and can contaminate a patient’s body. However, scientists recently found that while considerable amounts of nickel may be released immediately following surgery, in the long run, the nickel decreases considerably to a few nanograms a day. Seeing as how this amount is far less than the amount of nickel we take in through our food on a daily basis, those with nickel-titanium alloys for implants should have nothing to worry about!